Skip has been involved in the business coaching, personal growth, leadership, and entertainment business’ for over 35 years. As a Business, Leadership, Life, and Success Coach, he has personally worked with over 15,000+ clients, taught over 1000 workshops and done over 1000 personal appearances over his career. He has also been on stage in front of over 1,000,000+ people over his career in the entertainment industry. He has been honored to have influenced and changed the lives of others and made, saved and added a LOT of financial resources to his client’s bank accounts over the years. Before launching his latest venture – 5 Star by Design, a business accelerator for Home Service Providers, Skip has been a serial entrepreneur having launched a number of businesses on his own over the last 35 years. He has had success AND has experienced some massive failure and learned valuable lessons along the way. He has found the formula for consistent success with the 5 pillars and has systematized them into this new program so that other small business owners can learn from his success and mistakes and take advantage of this simple step-by-step roadmap. His most recent venture includes My Chief Wellness Officer LLC – a company that helps business owners, managers and leaders with the overall health of ALL areas of their businesses, from the inside to the outside. The majority of his time is spent business coaching small to medium sized companies and organizations on what is possible when the culture of the company is in alignment with the mission, vision and values of the existing leadership team. He brings awareness and focus to the strategic, the team, the systems, procedures and policies that help the business grow. He wants to help others thrive in this ever-changing economy and business landscape by fundamentally getting managers and business owners to engage on a personal level to motivate and coach team members as they become conscious, engagement oriented leaders. My Chief Wellness Officer LLC is the parent company of 5 Star by Design, The Praxis Leadership Academy / The Praxis Business Accelerator Project (the test kitchen for 5 Star by Design) and Meditation Prescription. Praxis Leadership Academy is bringing tangible and conscious “engagement” leadership tools into the workplace. MeditationPrescription.com is a division focused on encouraging medical professionals to prescribe meditation, guided imagery and mindfulness to their patients as a stress reduction and wellness tool instead of defaulting to medication for specific physical and emotional issues. He is also a founding member of the Global Mindfulness Bond – a not-for-profit organization created the LA/NYC based, Business for The Planet, committed to bringing together the brightest and best in the field of mindfulness in the health, education, and business realms – helping to fund and support fledgling projects that can support the growth of mindfulness around the world. Some of his other recent endeavors include being the founder and CEO for Evolution Unlimited Inc. – a personal growth seminar marketing and production company that represented a number of speakers and seminar leaders. He was also the President of Conscious Company Worldwide Inc. – A leadership development company that trained and certified over 275 leadership coaches with a program entitled The Visionary Leadership Program. Conscious Company Worldwide was hired by the Canadian Justice Department to be part of a 2-year groundbreaking leadership development initiative within the Justice Department. He was also the President of The Journey – North America – and trained and certified over 450 Accredited Journey Practitioners in the US/Canada/Mexico. He also a founder of – Journey Outreach North America (JONA) and was instrumental in the formation of the North American Journey Practitioners Association (NAJPA). Skip also enhanced his business coaching skills in the trenches as a coach with the world class Maui Mastermind Business Coaching Program. The Maui Mastermind program is one of the most successful business coaching companies in the world with advisors having built, bought and sold over 2 billion in business’ over their careers. Skip is bringing this knowledge to a smaller home service provider business market to share skills and tools that have only been available to bigger organizations up until now. He wants to thank the Maui Mastermind founder and Wall Street Journey best-selling author David Finkel for his ongoing friendship and support. As a business owner, Lackey has started multiple business ventures in a variety of different industries from a Film and Video Production Company to the Restaurant and Hospitality industry – Created a 10,000 square foot Sports Bar that would hold over 850 people – Jox Ultimate Bar & Grill which employed over 70 people. He still sits on the board of an Oil and Gas in Oklahoma, founded an Oil and Gas Investment fund for exploration and drilling and was the Executive Producer of a Vision Technology Company helping implement over 17 patents during the “dotcom boom” in NYC in the late 90’s. He has worked in the tech sector and oversaw a group of renegade programmers work at breaking the code of the Forex Trading industry. At one time he also had a FINRA Series 34 Securities License for Forex trading. He brings his vast knowledge of finance leadership, marketing, conscious systems, emotional and social intelligence, resilience, business engagement skills and success coaching to everything that he does. He knows how to have fun too! Lackey also spent over 25 years working in the entertainment industry in every way imaginable. During his interesting career, he performed on Broadway, Movies, TV, 100 National Network TV Commercials, recorded over 1000 Voice Over’s for radio and TV and was even a Nickelodeon Game show host and a Clown with Ringling Bros, Barnum & Bailey Circus. He was also a Producer/Director/ Writer for Motion Pictures and TV. He is a graduate of Ringling Brothers Clown College, Vancouver International Film School and Acting Conservatory. Some of the companies he worked with includes ABC, NBC, TBS, ESPN, The Golf Channel, Nike, X-Games, Walt Disney Companies, Nickelodeon, Radio City Productions, Samuel Goldwyn Productions, to name just a few. Training: Business Coaching, Team Building, Financials, Neuro-Liguistics Programing, Senior Visionary Leadership Coach, Business Coaching, Presentation-Live and TV Coach, Neuro-Associative Conditioning, Meditation Teacher/Creator, Stress Reduction, Senior Accredited Journey Practitioner, Hypnosis, Nutrition, Strategic Planning, Conscious Communication, Holotropic Breathwork, Nutrition and more. 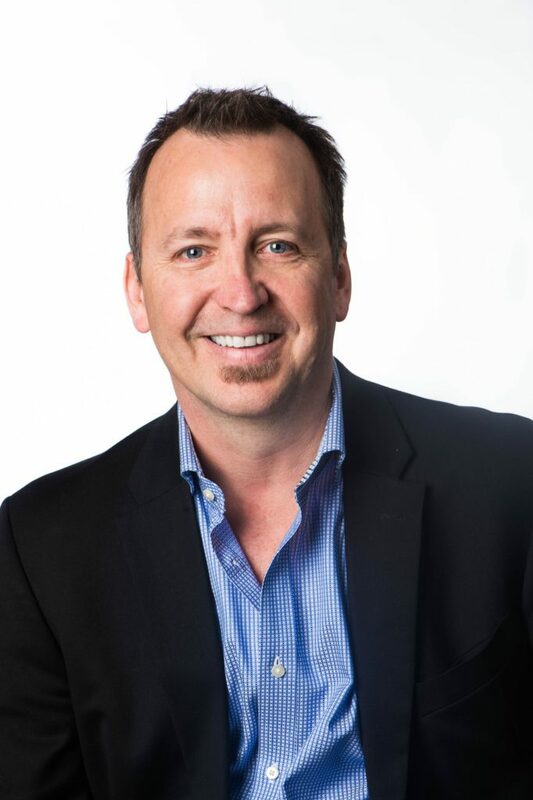 Lackey combines his vast personal growth knowledge along with his heart and compassion to bring these skills into your business and work life to be the perfect addition to your team as your Chief Wellness Officer and Leadership/Success Coach. Skip was born in Maryland and grew up in Arkansas and spent over 25 years living New York City, Los Angeles and Vancouver Canada and the road teaching and performing. He now lives just outside Boulder CO to have a different “lifestyle” with his 3 children that range from ages 7 to 24.